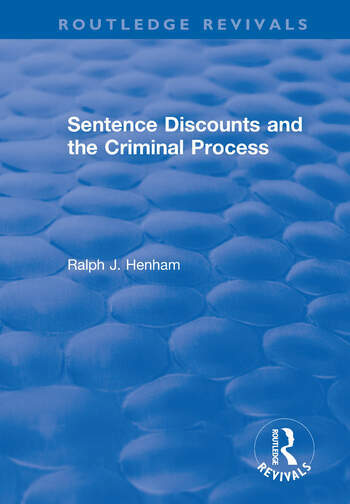 This title was first published in 2001: This volume presents the results of an empirical investigation into the operation of sentence discounts for guilty pleas in the Crown Court. It focuses primarily on the nature of judicial compliance with the S48 Criminal Justice and Public Order Act 1994 and those variables in sentence decision making which impact on this process. It also examines the relative use made of sentence discounts and the nature and relevance of court of appeal guidance. In doing so, it raises important theoretical issues relating to sentencing research and addresses the implications for sentencing policy and practice. With empirical research on the operation of the sentencing process being comparatively rare, the book should make an important contribution to the existing literature.